This week was spring break for many people. Siena and I went backpacking up near the "Vortex" one of my favorite quick overnight backpacking sites near St. George. My brother Nick came along with his kids, Isaac, Savannah, and Sophie. We had perfect weather and a fine campfire and a moon lit night. Our dog Roxie came too and was a naughty thing. Siena carried her own pack just fine and was a good companion. I think she even ate things she wouldn't normally eat to appease her grandpa. I look forward to future trips with Siena and my other grandkids! The Larsen Twin Boys Have Arrived! On March 6th 2013 Marty & Hailey had their twin boys. Colten and Carter were born via c-section around 5 p.m. at Dixie Regional Medical Center in St. George, UT. Marty's sister, Angie, was on duty in the NICU and helped in the delivery and neonatal resuscitation. They were 36 weeks along, so they are "late pre-term"according to the neonatologist. They needed some respiratory support and NG feedings the first couple of days. Now they are progressing very well and are no longer on oxygen, IV fluids or in need of the incubator. They are now learning how to nurse and may soon come home. They weighed 4 lb 10 oz and 4 lb 12 oz at birth. They appear to be identical twin boys! Eric has finished another year of basketball. 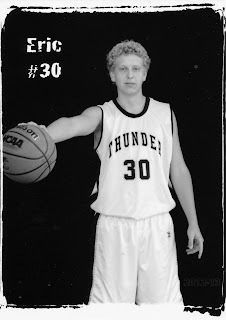 He was a member of the sophomore basketball team at Desert Hills High School. They had a winning record and their losses were almost always very close. The basketball program at DHHS is quite strong with lots of competition at the junior and sophomore levels. Eric had a transition year with the coaches moving him from the post positions to the perimeter spots (2-3 guard positions). He is six feet tall now but some of his teammates had grown even taller. 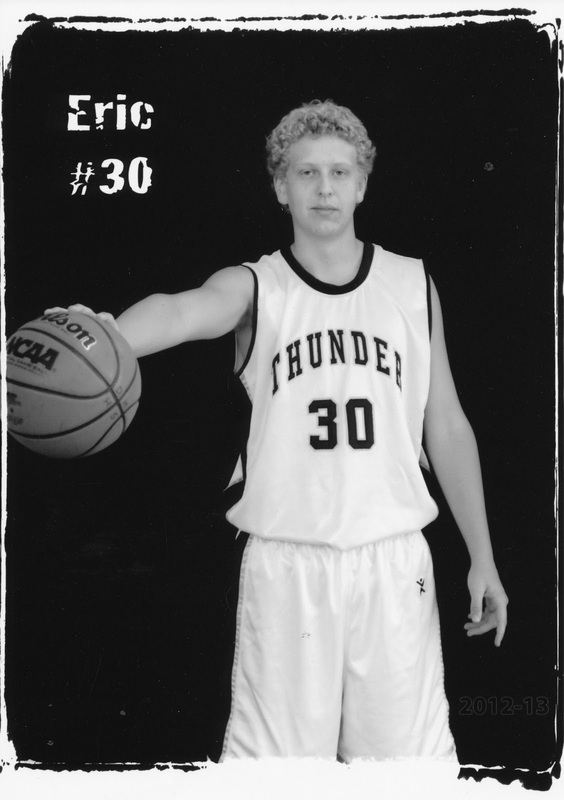 Eric is an excellent free throw shooter and shot 86 percent on the year in games. He also has an excellent shot when he decides to take it. Eric is truly a team player and will always pass it if the other guy seems to have a better shot or position. He also got some game time on the JV squad and it was fun to see him play alongside some of his neighborhood friends such as Ryan & Zach. Best of all, Eric is an excellent student with a 3.9 grade point average!